I’ve added to my bookshelves so much in the past few months that I banned myself from buying any new books. The ban doesn’t work, of course. I’ll see a paperback on sale at Target, add it to my basket, and then remember after I’ve paid that I’m not supposed to be buying anymore books. But I gave myself permission to consciously lift the ban when I headed to ConCarolinas. It wouldn’t have made any sense to go to a convention with dozens of authors and not buy their books. Though I will say that I surprised myself: I didn’t buy nearly as many books as I thought I would. Tally Johnson was promoting his book as Southern Gothic ghost stories during his panels on the paranormal. He was such a presence on the panels and a great storyteller that I picked up his book without even reading the blurb on the back. I saw Alexandra Christian on a couple of panels, the first being “Romancing Your Readers”. I’m a sucker for romance novels, an Christian talking about how she made the heroine an active hero/participant in the novel sealed the deal. The second time I saw Alexandra Christian was on a panel about themed anthologies, and she’d brought Curious Incidents with her as an example of an anthology that she’d edit. It’s a Sherlock Holmes/paranormal anthology. Need I say more? I walked past dozens of authors, and Michael G. Williams was the only one who pitched his book to me. I listened at first just to be polite. And then he said that Perishables was about a vampire at a neighborhood dinner when the zombie apocalypse begins. I bought the first book in the series right then and there. It seems that I buy books in fits and bounds. After several months of not buying much of anything, I’ll add half a dozen new titles to my shelves over the course of two months. And that’s exactly what happened. So I figured I’d use it as an excuse to do a big book haul. 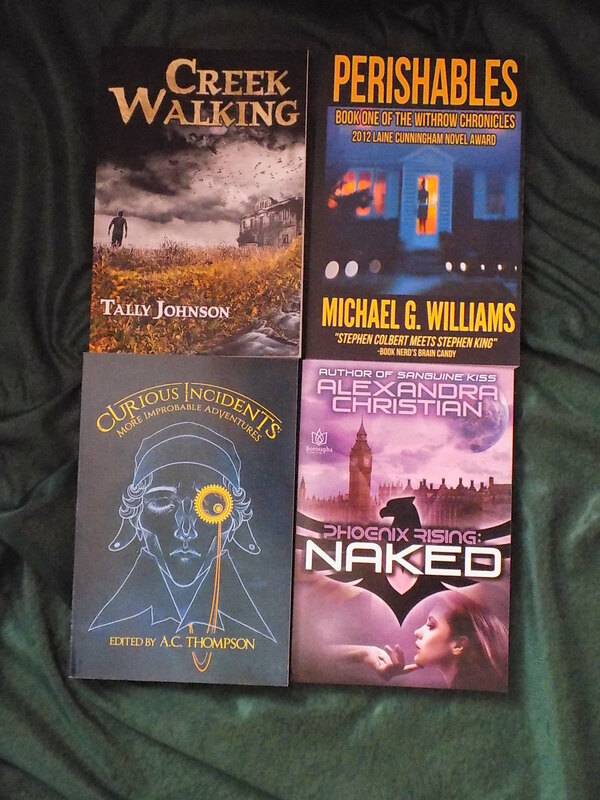 Most of these books came from Barnes & Noble, though I did get a signed hardcover from the Poisoned Pen based out of Arizona. Vampires plus steampunk plus carnival. 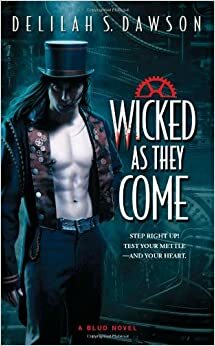 That’s what I’ve gathered Wicked as They Come is about from the summary and chatter online. Plus there’s a pretty cool inter-dimensional travel component to it, too. It’s been on my to-buy list for a while, and I’ve been looking for an excuse to order it. Pushing an online B&N order over the $25 threshold for free shipping proved to be the perfect opportunity. 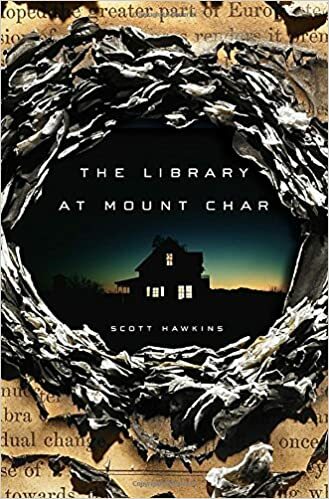 Author Kameron Hurley highly recommended The Library at Mount Char, and the summary gave me the impression that it’s right up my alley. Murder and secret societies–what’s not to like? The paperback also recently came out, so it was on sale. Unfortunately I’m thinking it’s too high-fantasy for me after reading twenty-ish pages. I’ll try it one more time before donating it to the library. 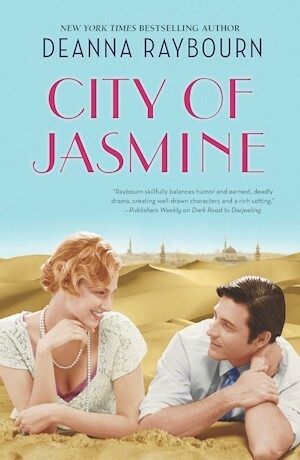 After reading Raybourn’s A Spear of Summer Grass, I decided it made sense to get City of Jasmine. The summary had intrigued me before I got into any Raybourn book (aviatrix finds out that her dead husband isn’t really dead). Being on sale helped make my decision a whole lot easier when it came down to actually ordering. Email marketing freaking works. I got an email from the Poisoned Pen about signed copies of The Murder of Mary Russell (I ordered a signed copy of Garment of Shadows from them years ago), and I impulse-bought it at 2AM. Then I found out that there’s another book in the series between GoS and MMR: Dreaming Spies. I drove over to my local B&N where it happened to be in stock. My local B&N doesn’t have a great track record of stocking the books I’m looking for unless they’re by Stephen King or another bestseller. But it makes sense to browse the shelves anyway if I’m already there. Both Mockingbird and The Cormorant were on the shelf by some bookstore miracle. 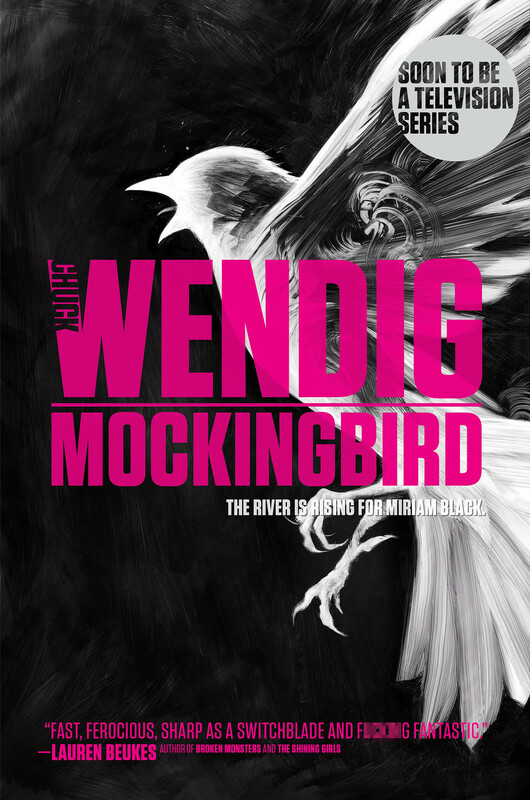 And not just any versions, but the new versions that match the first Miriam Black book already at home. I simply couldn’t help myself.